It’s a testament to the enduring popularity of Some Like It Hot that this is my third consecutive post about a public screening. This time its on the outskirts of Chicago – where the movie is partly set – at the North Riverside Public Library next Wednesday, September 5, at 2 pm. No need to book in advance, and refreshments are provided. 86 year-old George Purifoy of Franklin Park, Illinois, has shared his memory of meeting Marilyn during her 1954 USO tour of Korea with TribLive News. “It’s 10 a.m., and the breakfast club of old friends meets at a Panera Bread restaurant in the North Hills. They come daily, to share news, discuss current events, drink coffee and listen to stories. Purifoy, 86, of Franklin Park has many. They’re all there, his wife, Jane Purifoy, explains. But sometimes they need coaxing. 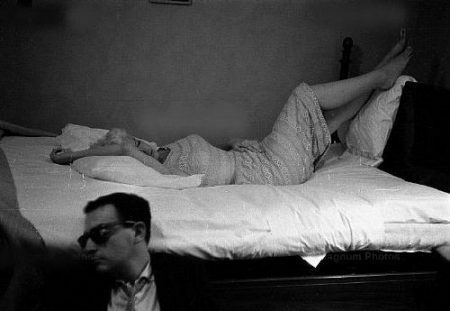 ‘Tell the one about Marilyn Monroe,’ she says to her husband. ‘Where’s it start?’ he asks. ‘With Bob Hope,’ Jane Purifoy says. This story is set in Korea, where Purifoy was serving with the Air Force during the war. He opened the canopy for her, explained the cockpit controls. She asked for a ride. Problem was, Purifoy told her, it’s only got one seat. But there was a two-seater on the base, and he could fly her around in that one. 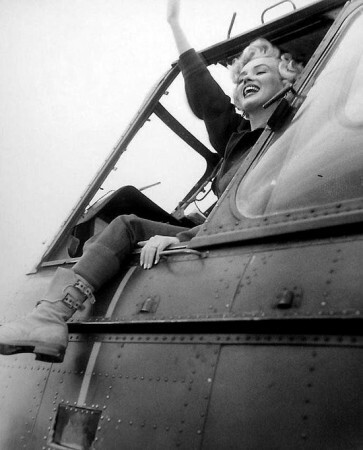 So she got fitted for flying gear while George readied himself to take the legendary model, actress and American icon into the Korean skies. Before they could take off, though, an old, grizzled major stopped him. 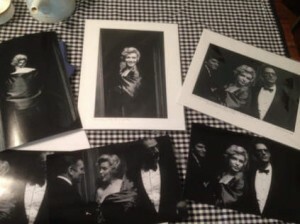 “Bement will celebrate the 60th anniversary of Monroe’s visit with a photo exhibit and a display of Marilyn memorabilia. The free photo exhibit at Bryant Cottage State Historic Site runs Aug. 6-9. 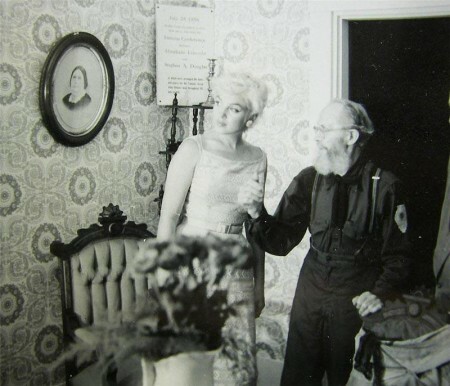 On Aug. 8, the owners of the home where Monroe stayed during her visit will open the house for tours and display their extensive memorabilia from 10 a.m. to 3 p.m. The home is at 101 E. Wing Street, and the memorabilia display will be at Salon 101, located at 101 N. Macon Street. “It’s the movie that hasn’t been made yet and Peorian Jack Mertes has the story for the screenplay. 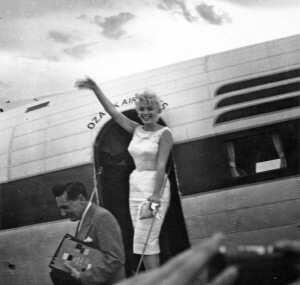 It was 60 years ago when Marilyn Monroe visited Bement, a small town located between Champaign and Decatur. 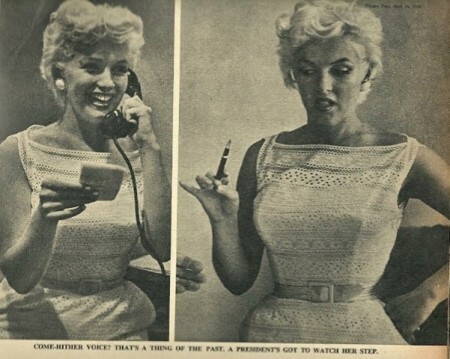 It was a media moment — Marilyn, fresh from The Seven Year Itch, was at the height of her powers and the classic set-up: when big-time celebrity visits small-town America. Mertes wrote about the visit in 1985 at the time of the 30th anniversary. 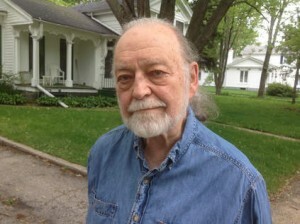 He visited the town and interviewed some of the people who helped organize the star’s visit. He spoke with townspeople who remembered that day. ‘There were people everywhere…I don’t think Bement has ever had so many people in it,’ said Jessie Morgan of Monticello. 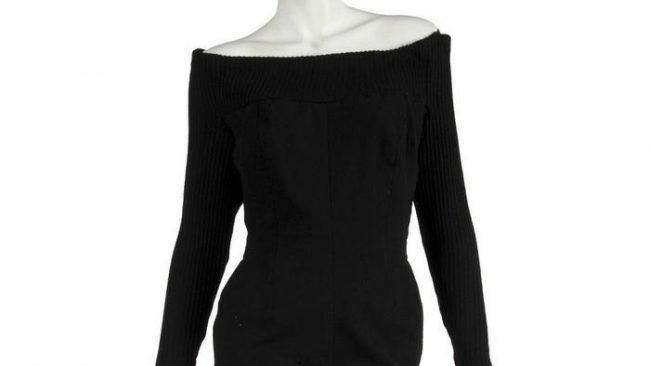 ‘The Lord sure gave her looks,’ said Selby Clark. 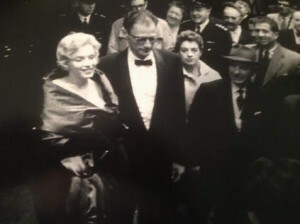 Native Londoner Brian Seed photographed Marilyn in 1956, in full movie star regalia at a theatre premiere with her new husband, Arthur Miller, on a night off from filming The Prince and the Showgirl in England, reports the Chicago Sun-Times. These rare pictures – unattributed until now – will be displayed at this year’s Ray Bradbury Dandelion Wine Festival, today at Bowen Park in Waukegan, Illinois, where Brian now lives. 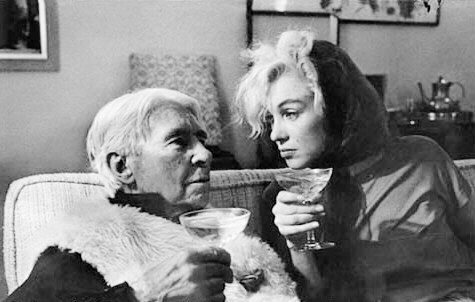 “‘That Marilyn Monroe was a really smart cookie,’ said Seed, a retired freelance photographer for Life magazine. As it turned out, Seed’s photos from that night outside London’s Comedy Theatre would sit unseen for more than a half-century. The Misfits will be screened at noon in the Chatham Public Library in Springfield, Illinois, next Wednesday, September 12, reports the State Journal-Register. 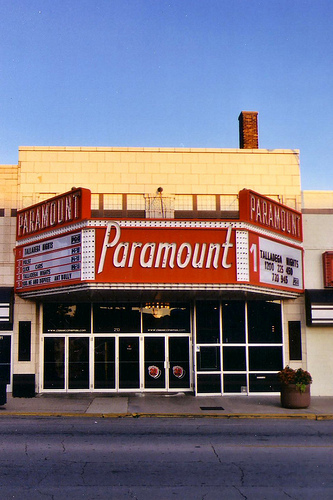 Some Like it Hot will be screened at the Paramount Theatre in Kankankee, Illinois, on Thursday, July 26th at 7pm, reports TribLocal. Prior to the movie, a VIP reception will be held at 5:30 p.m. at ‘164 North,’ 164 N. Schuyler Ave. in Kakakee. The reception features light refreshments and cash bar. A Marilyn Monroe look-a-like is scheduled to attend. VIP tickets are $25 and includes the reception and a movie pass.